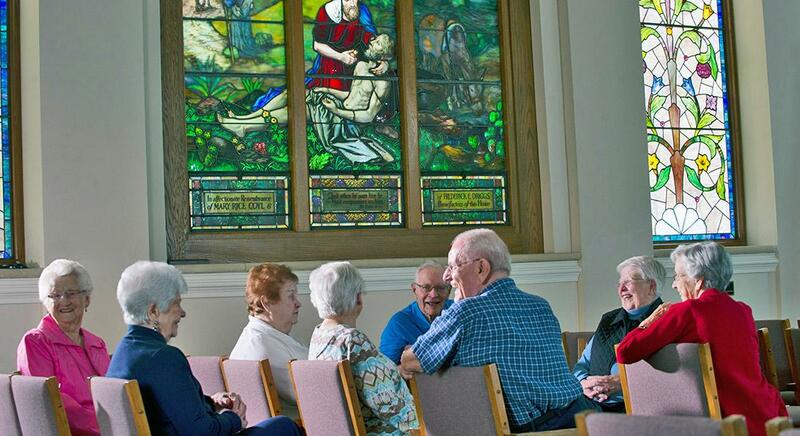 St. Luke’s Chapel at Canterbury-on-the-Lake features a large stained-glass window depicting the Good Samaritan. It is a fitting symbol. Canterbury and its residents thrive today thanks to the selfless generosity of thousands of people over the years. Thousands of selfless people, like the Good Samaritan, have given time, talent and treasure to ensure our residents have the highest quality of life for as long as possible. Our Good Samaritans and their gifts are especially important, since Canterbury is a not-for-profit organization. Here, profits are reinvested and go directly back into our community to benefit our residents. In addition, an active Board of Directors provides sound, long-term stewardship of all financial gifts. Whether your gift is large or small, or financial, in-kind or time-related, know this: It makes a huge, positive impact on our residents’ lives. Giving has exponential benefits, after all. The old adage is true: We rise by lifting others. Every step of ﻿﻿﻿﻿Canterbury's 150+-year history﻿﻿﻿﻿ has been the result of generous people’s gifts, both large and small. It began back in 1855, when Matilda Caniff bequeathed $1,500 to St. Paul’s ﻿﻿﻿﻿Church﻿﻿﻿﻿ in Detroit, “for the purpose of erecting a hospital for the poor … to be called St. Luke’s Hospital.” Today, that modest amount is the equivalent of $3 million. Over the years, the hospital cared for all patients equally, regardless of station in life, ability to pay, race or creed. 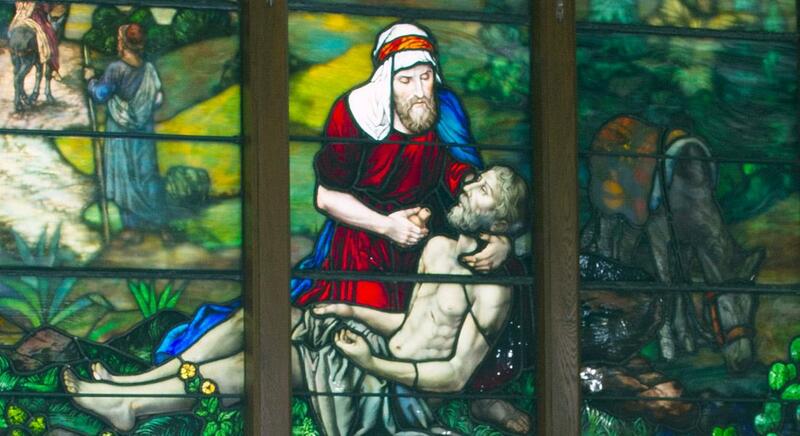 At the same time, Good Samaritans allowed St. Luke’s Hospital and Church Home to move from Detroit to Highland Park at the turn of the last century, and then to Waterford in the early 1990s. While our name has changed, our mission remains steadfast: Guided by a rich tradition of respect for people of all faiths, to offer the highest quality of housing and health care for today’s and tomorrow’s seniors. Most recently, a $1 million gift will enable Canterbury to move forward with our Memory Care Community and other enhancements to The Pavilion Health and Rehabilitation Center. Giving at Canterbury moves well beyond capital campaigns. It is woven deeply in the fabric of our residents’ lives through a variety of special funds and a multitude of caring volunteers. For example, our Good Samaritan Fund provides financial support to qualified residents to help keep them at Canterbury when their resources have been exhausted. See how the Good Samaritan Fund impacted one resident's life. Susan Hammersmith, Director of Development at Canterbury, would be happy to meet or speak with you to answer your questions about financial giving opportunities. You may call her at 248.674.5390 or email her. Learn more about how to make a financial gift. Giving takes many forms, and the gift of time can be a generous one with long-lasting benefits. Each month, between 50 and 80 different volunteers come to Canterbury, bringing therapy dogs, visiting one-on-one with residents, helping with activities, working in the gift shop, and more. Our adult and student volunteers come from all walks of life, and have found a personal connection and fulfillment in helping our residents. We assign great value to our volunteers’ time and will place you according to your interests and talents.